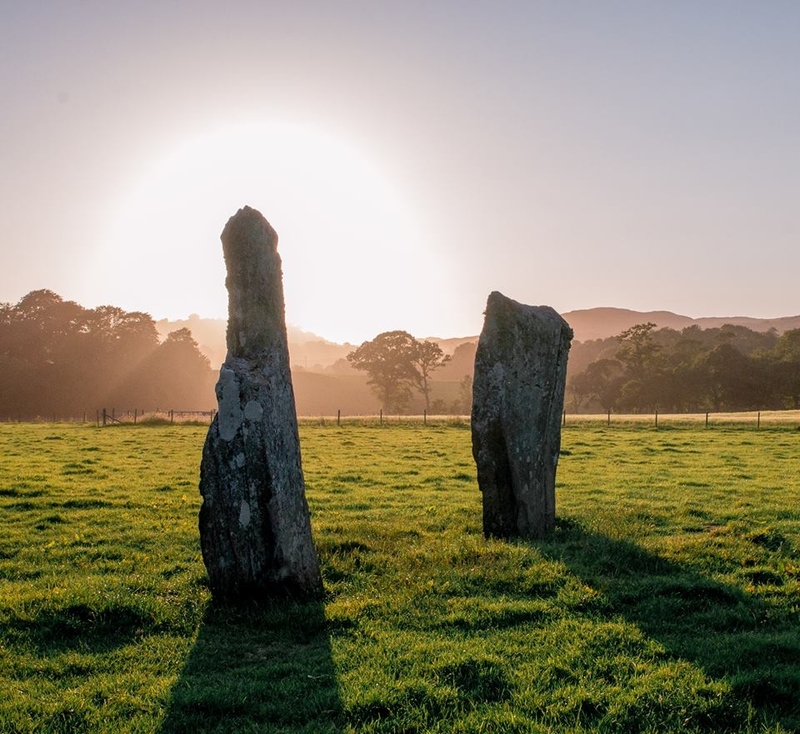 Kilmartin Glen must be one of the best hidden gems, not only is the Glen stunningly beautiful it is also home to some of the best Neolithic and Bronze Age sites in Britain. The first burial cairns were built long before the existence of the great Inca Civilizations, the birth of Alexander the Great and even before the Egyptians built the great pyramids, in fact human history in this area extends back at least 5000 years. 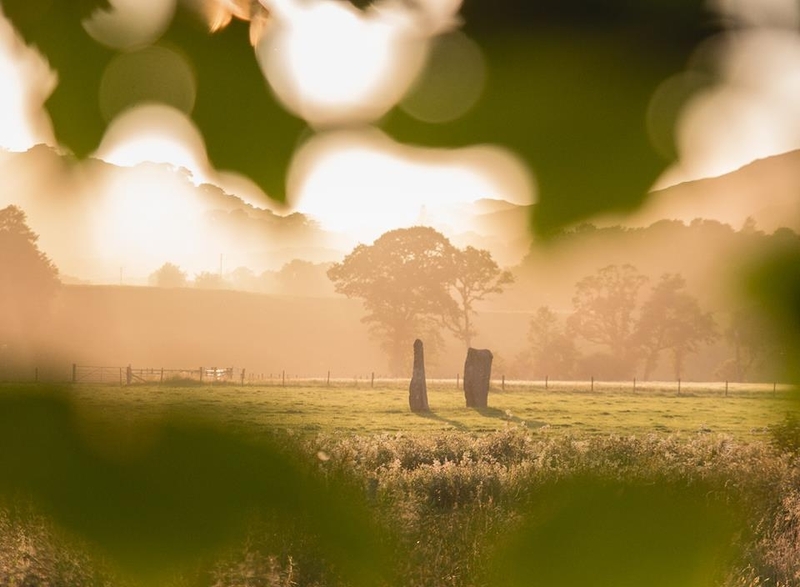 The Glen is littered with over 350 ancient monuments including a Linear Cemetery, burial cairns, standing stones, stones circles, rock art and an ancient fort. This really is an archaeological treasure trove. 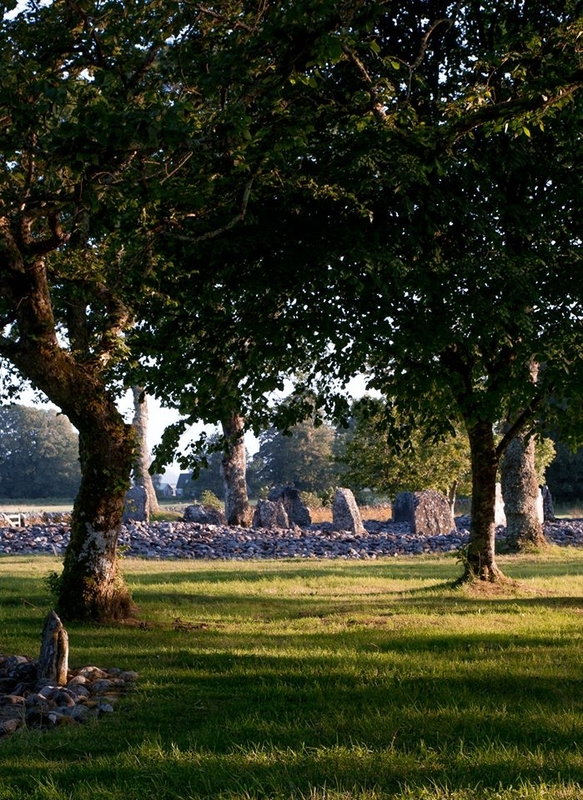 The Nether Largie standing stones and burial cairns (which form part of the Linear Cemetery) are thought to be the oldest monuments in the Glen. The first structures in this area where thought to have been built anything up to 5500 years ago with the Cairn being primarily used as a final resting place for the people of the Glen. In the Millennia’s which followed the cairn was reshaped and reused numerous times. This first proper excavation took place in the 1860’s when many artifacts where found including arrows heads, human bones, animal remains and pottery. Beside the Nether Largie Cairn stands the Nether Largie standing stones, these stones date back well over 3000 years and tower to 2.85 meters. The central stone is covered in cup and ring marks whereas most of the other stones remain unmarked. There are a few different theories about why these stones where built with the most popular theory being it was some sort of observatory for watching the moon, sun and stars but whatever the reason was it must have been extremely important to the people of the time as quarrying, then moving and positioning the stones will have been no mean feat. My personal favorite part of the glen is Temple Wood, there is such a calming atmosphere and its beauty is something to behold particularly in spring when a sea of blue bells carpet the ground. This site consists of two large stone circles, the northern one is a bit more conspicuous as it looks just like a wee rickle of stones on the ground. However, the Southern circle is much more noticeable as a circle of standing stones line the middle. Again, the first monuments are thought to have been constructed around 5000 years ago but like the Nether Largie Cairn, this too has been reshaped over time. Originally 22 stones are thought to have stood in the circle, around half now stand. The name ‘Temple Wood’ is very romantic which possible add to the appeal. 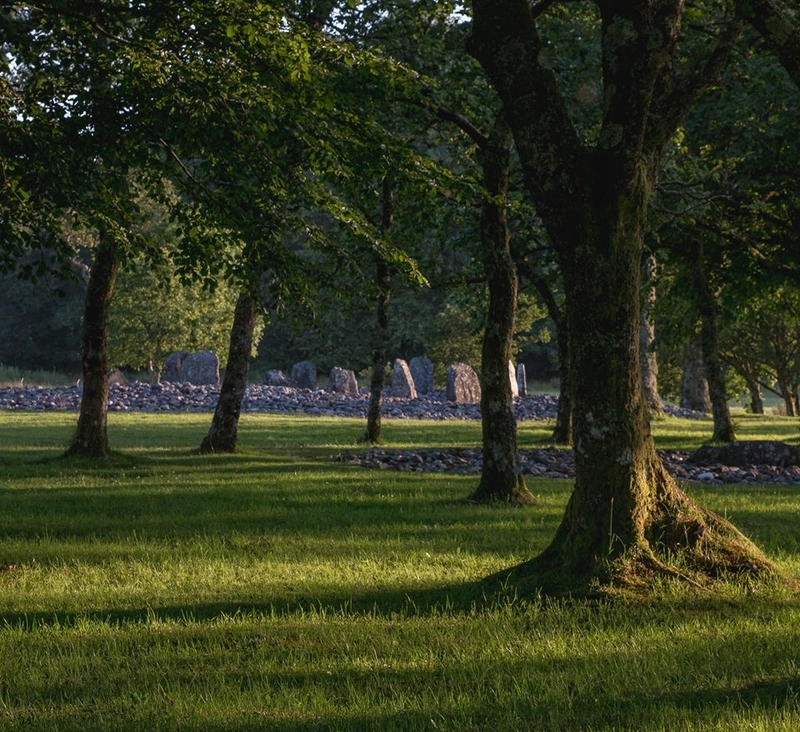 This however was not the original name, Sir John Malcolm of Poltalloch was so enchanted by this area he was inspired to plant trees around the circle which he then christened Temple Wood. 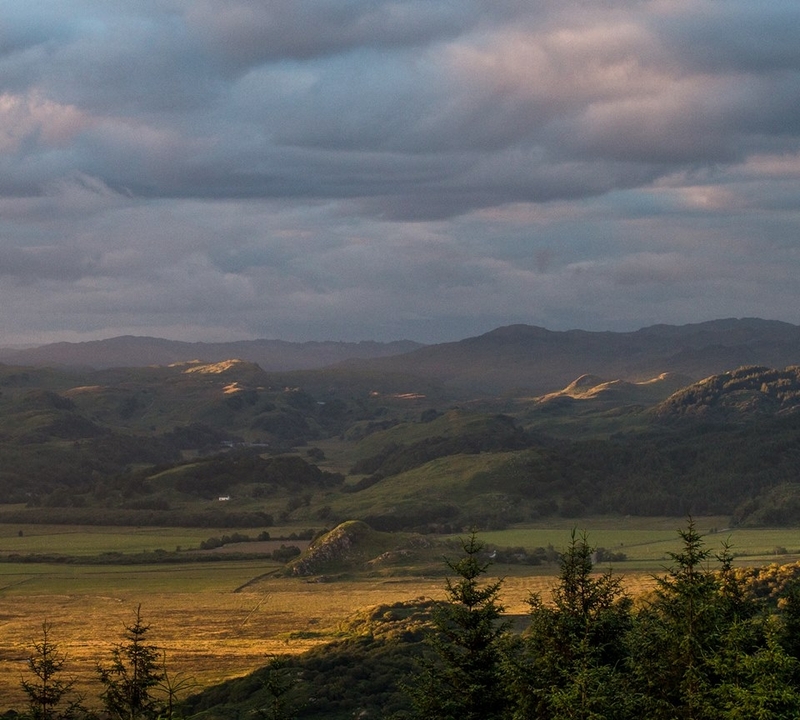 Dunadd hill lies at the southern end of the glen and is probably the glens most noticeable and famous resident. This mound of rock was once the centre of the ancient Kingdom of Dal Riàta, where the Kings of the kingdom where crowned between 500AD and 900AD. This place could be regarded as the birth place of Scotland as it was the ‘Scotti’ which originally founded this Kingdom and it was from these people that Scotland took its name. As you take the short walk up the hill you can see the remains of the once impressive Fort but once you reach the top the remains of what went on here are much more impressive. Situated on a slab is a footprint, the belief is that this is where the Kings placed their foot when they were inaugurated and I think being able to see this evidence is fascinating. 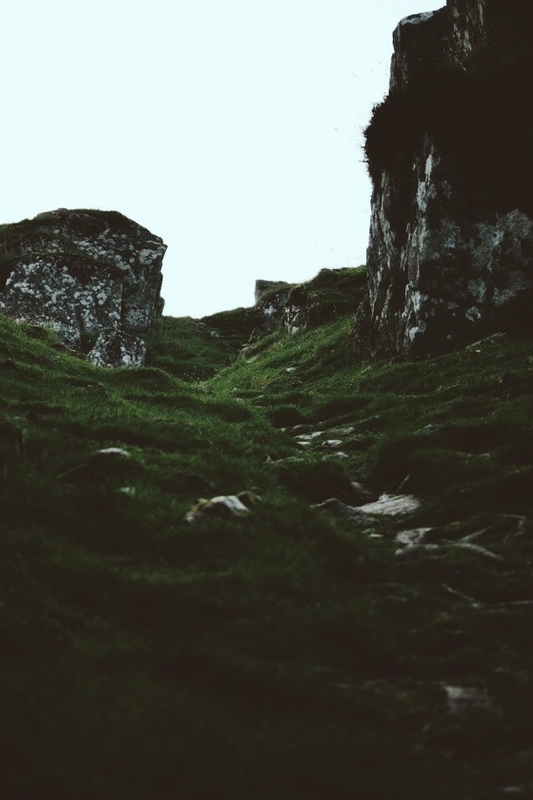 Many legends are linked to Dunadd including the Stone of Destiny and King Arthur. The Glen lies along the A816 and all the main sites are sign posted and have parking areas located nearby. Perched at the top of the Glen is the village of Kilmartin, this is where Kilmartin Museum and Café is situated. The café is brilliant for tea and cake after walking around the glen. (I would highly recommend the lemon drizzle cake and mint lemonade.) The Museum itself houses artifacts from all over Argyll. The museum is very informative and definitely worth a visit for more in-depth information about the history of the glen. It would be fantastic to see the museum redeveloped so that all of the wonderful artefacts could be seen by the public. It would also be a great boost to the local area as a whole. So if you are looking to discover the Spirit of Scotland, come to Kilmartin. I guarantee you won’t be disappointed! I'd love to visit Kilmartin on a guided day trip (with transport) from Oban. Can you recommend anyone doing such tours? Thanks! Yes, this is a very special place. You might want to add that amazing slab of cup and ring marks at Achnabreck near Kilmartin. Apologise for the late reply, I complete missed your comment until today. I'm afraid I'm not aware of any tours with transport from Oban but I know Kilmartin Museum do guided walks every Wednesday. I hope that is of some help to you. Yes, they are spectacular too, I can't edit this post unfortunately but I will try and get up to Achnabreck soon and add some pictures in the comment section. 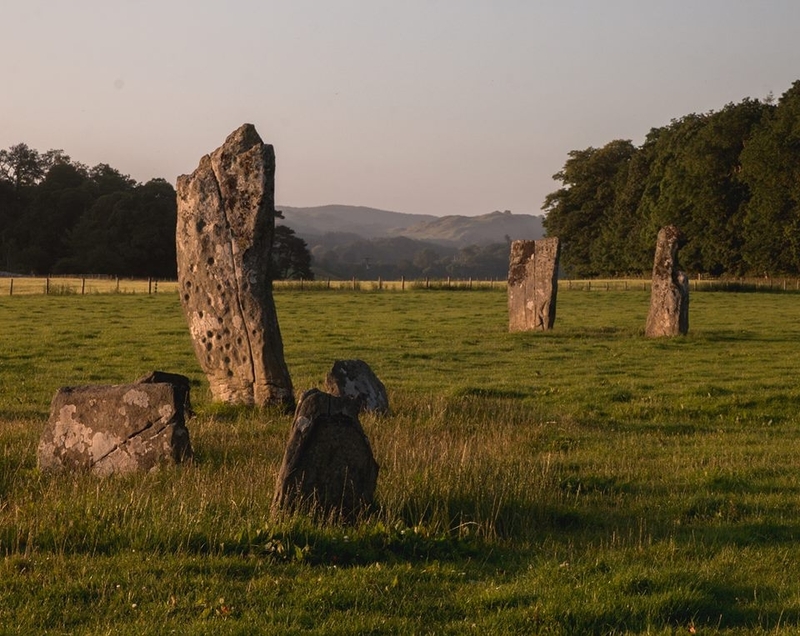 Walk Wild Scotland does a day tour that includes Kilmartin Glen. They are local small group private tours so you would have to contact them for prices, dates and departure options.